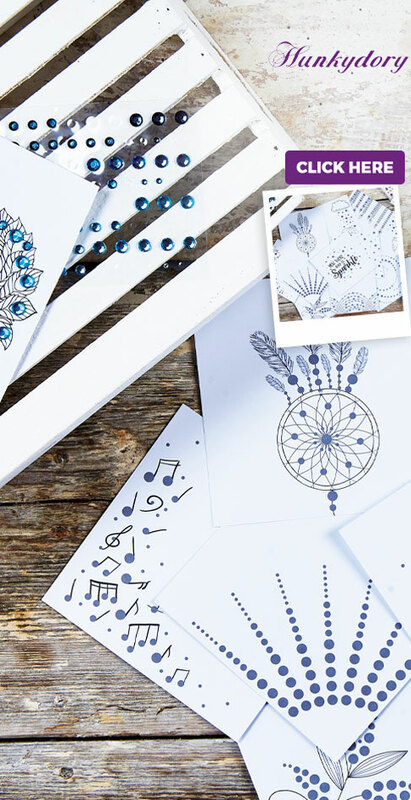 Grab your favourite pens or pencils and start colouring in your chosen motifs. 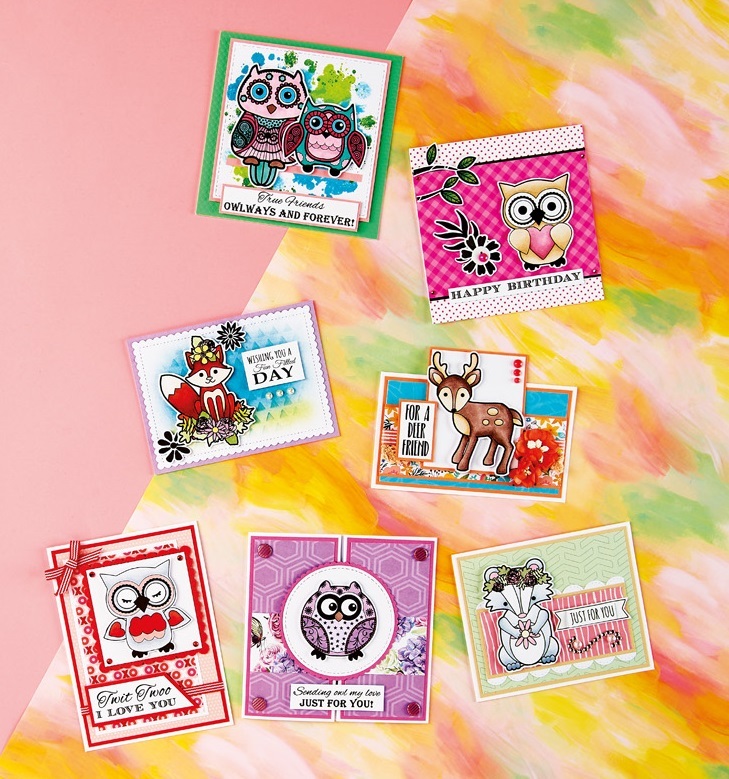 Go for realistic shades – like Kitty’s deer, fox and badger cards – or opt for bright colours for impact, like with the owl designs. The great thing about these digi stamps is that they have strong black outlines already, ensuring a bold design. Plus, let’s face it, it makes staying inside the lines a whole lot easier! Kitty has matted and layered her designs for depth and texture. And what we love about these various panels is the mash-up of prints and styles. 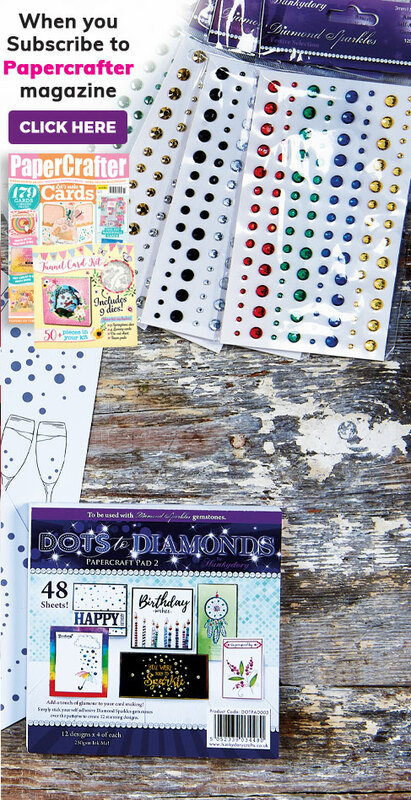 Mix gingham with polka dots, vintage florals with geometrics, typography with spotty… you get the idea. This adds fantastic variety to your cardmaking and it’s also the perfect opportunity to use up your paper scraps. For her fox greeting, Kitty has blended blue and green inks onto white card with a sponge, before attaching a stencil over the top and brushing through some slightly darker blue ink. The result? An intriguing and effective background. You can also fake it – shh, don’t tell anyone! Simply get your hands on an ink splat stamp to create faux splotchy ink effects, as you can see with our ‘Owlways and forever’ design. We won’t say anything if you don’t.